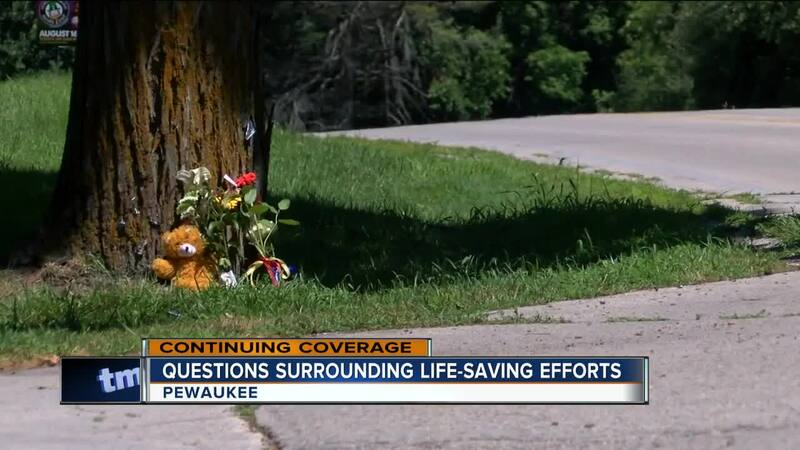 The Pewaukee Fire Department continued to dodge questions on Tuesday about how their first responders mistakenly thought a 3-year-old boy was sleeping after a fatal accident on Sunday morning. TODAY’S TMJ4 has learned that life-saving measures may have been delayed up to 13 minutes for the toddler who was later pronounced dead at the hospital. We’ve been trying to get answers from the fire department since Monday. They promised at least a statement, but not only has the fire department stayed mum, the city’s mayor hasn’t commented either despite the Waukesha County Sheriff’s Department pinning the blame on Pewaukee Fire’s first responders. 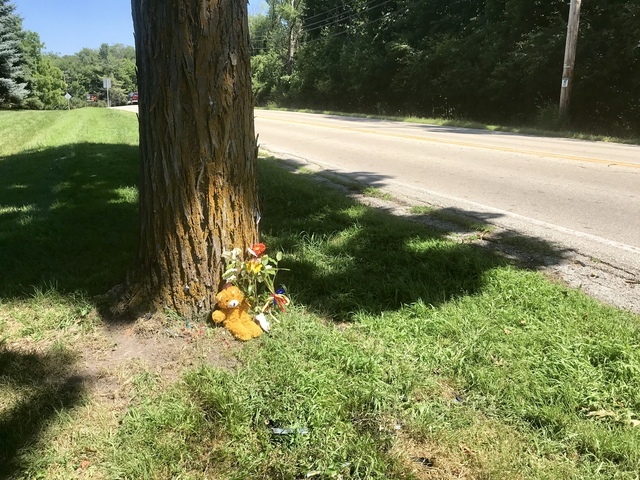 Life-saving measures may have been delayed up to 13 minutes on a 3-year-old boy who died in a Sunday single-car crash in Pewaukee. The boy was riding in a car driven by his parents that h it a tree at the corner of Prospect Avenue and Rocky Point Road. According to dispatch calls, responding Waukesha County Sheriff's deputies were initially told by Pewaukee fire crews, who were first on scene, that the boy was sleeping in the back seat of the vehicle after the wreck. The question as to why they didn't realize the toddler was in need of immediate assistance remains unanswered. In a conversation between Waukesha County emergency dispatchers and deputies on scene, the toddler's well-being wasn't initially a concern around 5:50 Sunday morning. It was his father who appeared to be injured. "The male is bleeding from the chest. Female is on the side of the street. And the child is inside the vehicle still," the emergency dispatcher broadcast at 5:52 a.m. Ten minutes after arriving on the scene, the responding deputies were told by fire crews that the boy was safe. "Child unharmed and sleeping in back seat," a deputy said at 6 a.m.
Thirteen minutes into the conversation, something drastically changed. "I need supervisor out to the scene, the child is not going well." a deputy said at 6:03 a.m.
First responders initially called for two ambulances to take the 24 and 25-year-old adults to the hospital. Around 6:10 a.m., they made sure a third was on the way for the child. "Has anyone called for a third ambulance at all? If not just get them rolling." a deputy said at 6:10 a.m. 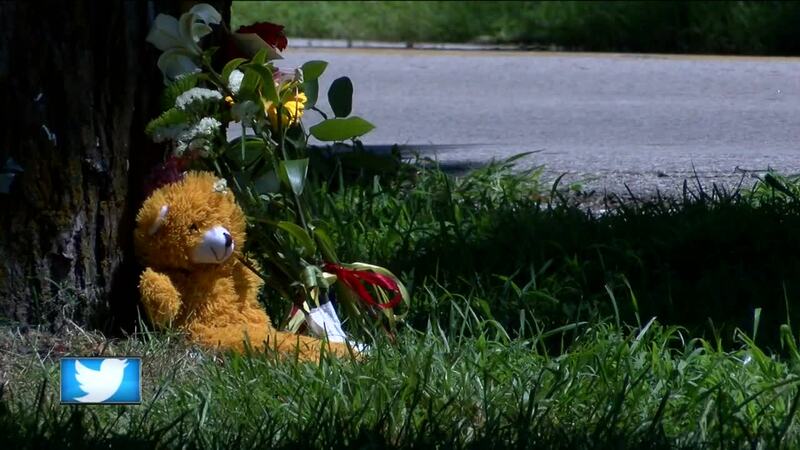 The toddler was pronounced dead at the hospital. In an emailed statement sent to TODAY'S TMJ4, the Waukesha County Sheriff's Department said the Pewaukee Fire Department was tending to the victims as they handled the accident investigation. "City of Pewaukee Fire Department arrived on the scene before any of our squads arrived. Once our squad arrived the deputy observed that all patients were being attended to by EMS and he started the accident investigation and managing the scene. At one point, one of the sheriff’s office supervisors asked the status of the child. The deputy on the scene asked the EMS personnel on the scene the status of the child, they advised the deputy that the child was sleeping. Our Deputy then relayed that over the air." - Waukesha County Administrative Deputy Jennifer Wallschlaeger. TODAY's TMJ4 made several attempts to get a statement from the Pewaukee Fire Department. An individual at the fire station said the chief and deputy chief were out of town and were the only ones authorized to speak on the matter. They referred us to the sheriff's department for comment.